We first laid eyes on the Mahindra NXR concept at the 2009 Frankfurt motor show and the DC designed car made it to production in the form of a 2-door and was christened the e2o in 2013. 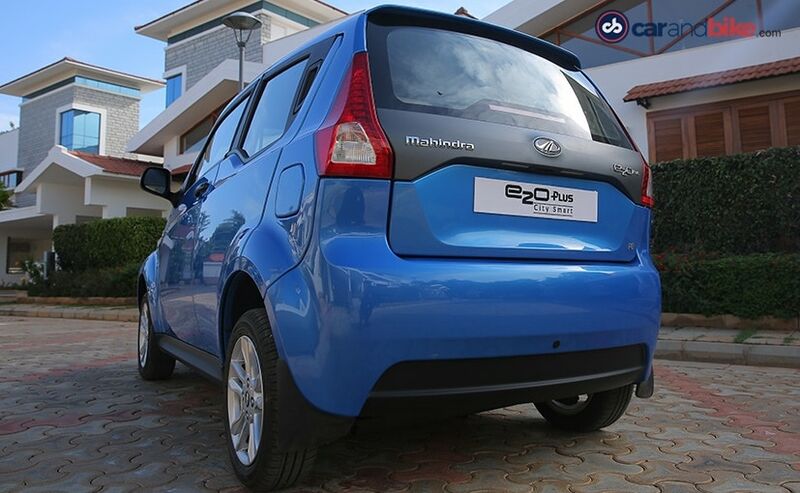 The car is still viewed as 'expensive' for its size but that hasn't stopped Mahindra from bringing in the e2oPlus, the 4-door version of the car that launched in India today. The e2oPlus is an extended version of the 2-door hatch. This 4-door version is available in 3 variants and price ranges from ₹ 5.46 to ₹ 8.46 lakh (Ex-showroom Delhi). 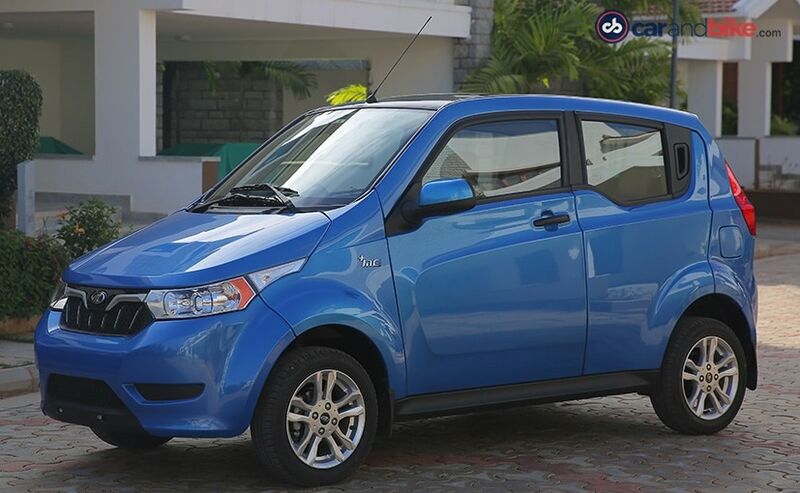 Like the e2o, the new car's body is also made out of ABS panel and not pressed metal. The panel's versatile character helps in moulding it to form a wide variety of products which once again has helped Mahindra in keeping both the weight of the car and manufacturing costs down. It also offers owners an easier option of replacing body panels in case of a bump or dent. While the styling of the car has not changed drastically from its 2-door sibling, the cabin space certainly will be a big USP on this car. 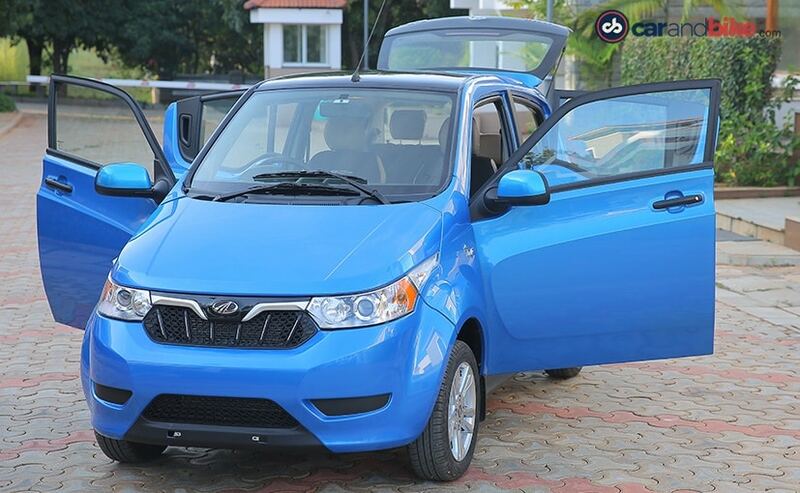 Cabin volume has gone up by over 150-litres, which is 30 per cent more compared to the regular e2o. 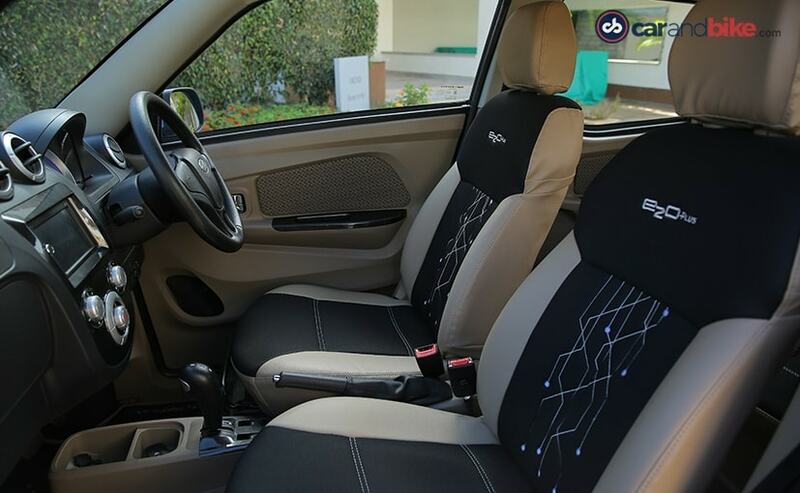 The cabin space can now be compared to that of a Maruti Suzuki Alto 800 or even a Hyundai i10. 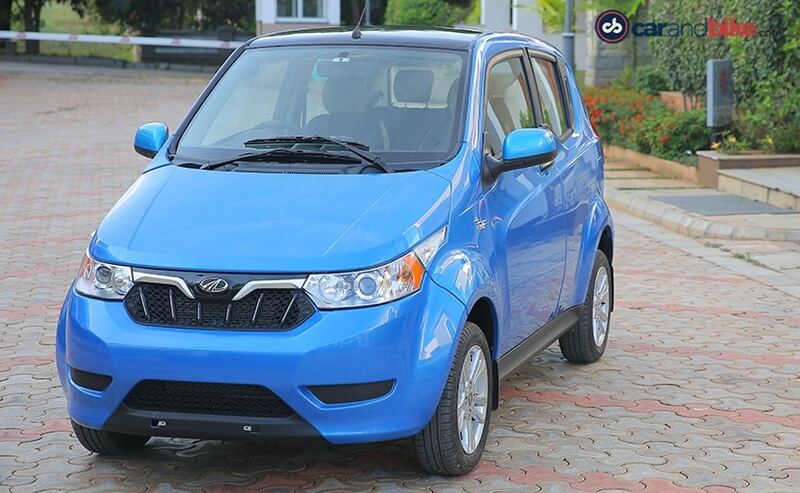 The headlamp cluster is borrowed from the e2o which shows that Mahindra wants its customers to think that the car is still cute and hence there's been no effort put in to change it. But one thing which the buyer will notice is the +ME badge on the either sides of the car. It the first time we will see Mahindra Electric badging on any of its cars and going forward all the products will carry the same badge. The length of the car is increased by 310 mm to 3590 mm and the wheelbase is up by 300 mm at 2258mm. 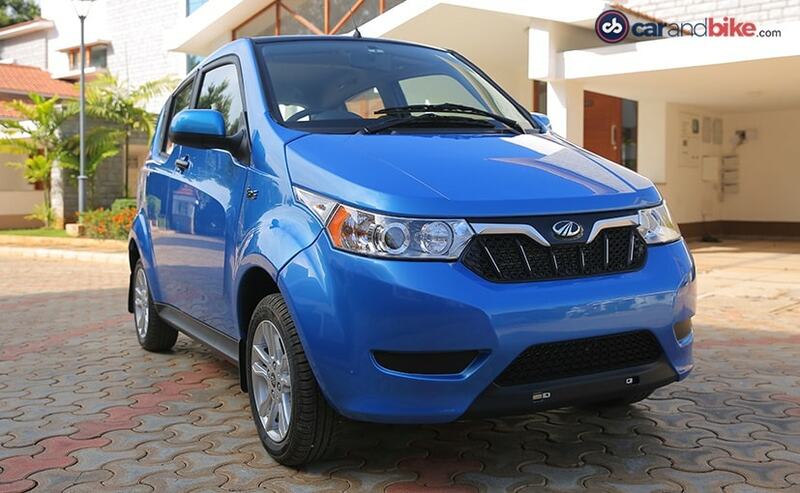 The face now gets a new grille - which is akin to the Scorpio's and the rest of the Mahindra family of vehicles. The e2oPlus comes loaded with features like a GPS enabled navigation system and an on-board computer that warns you about the car's driving range. The touch-screen monitor is easy to use and very responsive. The top spec P8 variant of the car has a 3 phase induction motor which is now more powerful than what we have seen on the 2-door e2o with peak power of 40 bhp and torque of 91 Nm, but most of the work has been done on the battery. It now gets a 210ah lithium ion battery which claims a driving range of 140 kilometres and a top speed of 85Km/h. The other variants get a slightly less powerful battery claiming the same drive range of 110 km. The driving range of the car, however, will vary according to one's driving style and traffic conditions. A full charge for the e2oPlus takes about 9 hours same time as what 2-door e20 takes to power-up. The drive is extremely smooth and of course, very quiet. The car is quick in short bursts and while we didn't get to drive it in real world conditions but we did spend some good time on both smooth and rough roads. The slightly softer suspension offers a decent ride but you do feel some of the bumps and potholes occasionally. 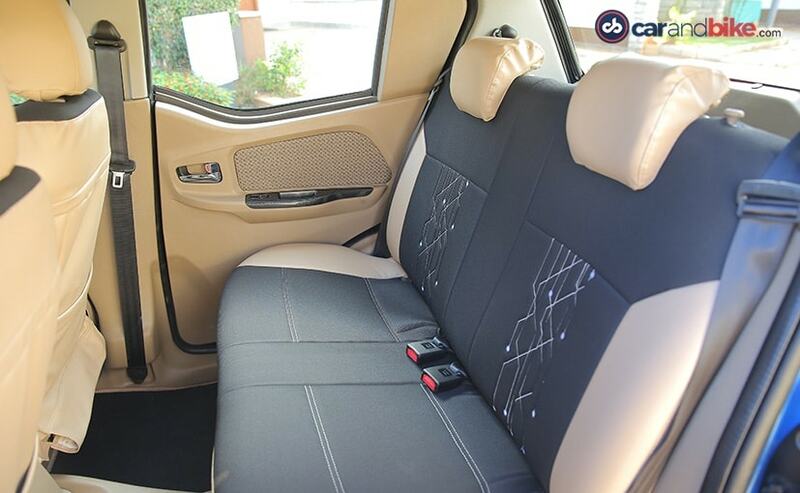 The rear seat, also the cabin is spacious and offers decent legroom. The car comes standard with 14-inch wheels and power steering as well. The 4.35-metre turning radius is the best in the segment and the automatic gearbox is unchanged from the 2-door variant and gets a boost or sport mode. Although a good car in its own right, the e20plus does suffer from the same challenges that every electric car in India faces. We still don't have the infrastructure to support electric cars in India and barring states like Karnataka, Delhi, Rajasthan and Chhattisgarh, no other states have announced any kind of incentives for electric vehicles in India. Which is the reason why sales of electric cars are less than 1 per cent of overall car sales? We hope that with GST coming in, the Government also announces some major incentives under the FAME scheme to encourage the sales of electric cars in the country. 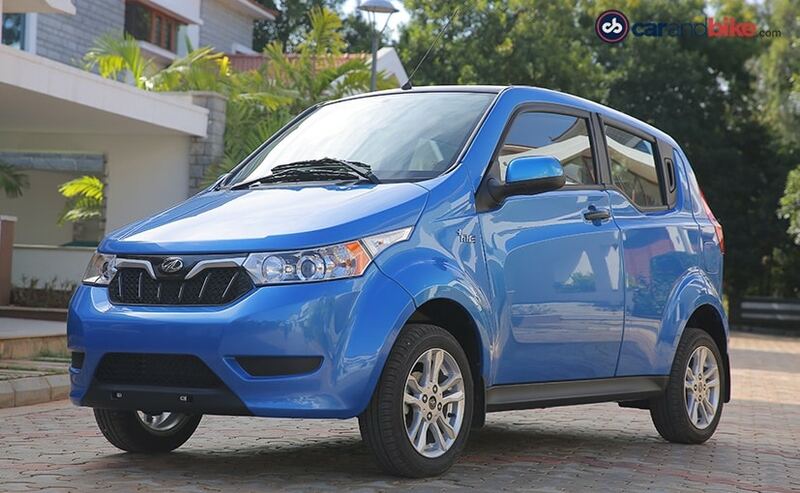 Mahindra expects the new variant to boost its e2o family sales by at least 10 per cent.